If you’re a superstitious person, this must have been quite an exciting ten days for you. Last Friday was not only the thirteenth, but was also a full moon. (The last time we experienced a Friday the 13th full moon was October 2000 and we won’t see it again until August 20491. 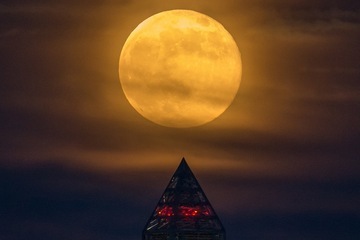 We won’t see another June Friday 13 full moon again until 2098; the last one was in 1919.2) This Saturday (if you live in the northern hemisphere) was the Summer Solstice (winter if you live in the southern hemisphere). These two events occurring so closely together hold a great deal of significance for some people. But what does it really mean? The June full moon is called the Strawberry Moon, or Honey Moon. The Algonquin Native Americans called it the Strawberry Moon because June was the month in which strawberries were harvested.3 It didn’t hurt that the moon sometimes had a reddish tinge to it. More often it was amber-colored, or the color of honey, particularly when it is low in the horizon. 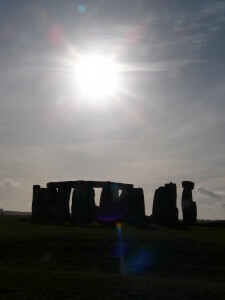 (And because this one occurred near the Summer Solstice, it was incredibly low in the sky.) This is the same effect we see during a sunrise or sunset, when the sunlight reflects off the atmosphere differently and we see the warmer colors of the spectrum.4 Our modern term “honeymoon” may have come from this phenomenon. The word dates back to 1552, when marriages were compared to the phases of the moon. The full moon was compared to the wedding, which was supposed to be the most joyous, or “brightest” time (hence the “honeymoon” period, because June was when most weddings took place). Now most weddings take place in August or September.5 But I doubt anyone wants to say they went to Hawaii for their sturgeon-moon or harvest-moon. (Alternatives are red-moon or corn-moon, but those aren’t any better.6) It’s probably best to stick with the June-moon name of honeymoon, even if June isn’t the most popular wedding month anymore. The 13th falls on a Friday more than any other day of the month—in 400 years, 688 times, while Saturdays and Thursdays came in last at 684.7 Not much of a difference, really, when you think about it. And the superstition only developed because of the slaying of the Knights Templar on Friday, October 13, 1307, making Friday the 13th an unlucky day.8 Before that, some people considered the number 13 unlucky for various reasons, but thus began the fated association with the number and the day. Combining a full moon with a Friday the 13th right near a solstice? Isn’t that just tempting fate? Scientific tests have been conducted on full moons. They’ve proven to have no influence on pregnant women, crime, or physical or mental health. Strangely enough, however, according to a 2007 American Veterinary Medical Association study, dog and cat veterinarian visits increased by 28% and 23% respectively.9 Read into that what you will. Me? I’m not a superstitious person. The news said 37,000 people gathered at Stonehenge to watch the sunrise.10 Other than a glorious sight—and a lot of congestion—I’m guessing they didn’t experience anything out of the ordinary. But the writer in me can imagine all sorts of things that could have happened. It’s the possibility that’s fun to play with. The reality is that during the Summer Solstice, the earth is tilted on its axis and the sun’s rays are directly over the Tropic of Cancer. That is the longest day of the year. (In the southern hemisphere, they experience their Winter Solstice and their shortest day of the year.) The reality is that the moon appears full because the earth is not in a position to cast a shadow on it and block any of the sun’s light from reflecting back to us. That’s it. None of these things impact our sanity, our behavior, or any external potential otherworldly influences. They are just facts of nature. The earth is tilted on an axis. It rotates. The moon orbits it. It all orbits the sun. We mark time. That’s all fact. Anything else we read into these things? Well, those things are the reasons I love fiction. There’s a whole world of regular out there. The sun rises. It sets. Tides ebb and flow. Rocks slide down mountains. Trees grow and fall in forests. Nature is responsible for so much that we take for granted. Ask the question “What if?” and see where it takes you. Look into the histories behind the things you just take for granted. Make up new “histories” for something. Maybe your next story takes place in a world where the most popular month for weddings was always May and people vacationed on a “flower-moon.” I’m not a superstitious person, but I do write supernatural stories. Things like what happened this month intrigue me. What’s out there that intrigues you? I hope you had good luck on the 13th. My brother was born on a Friday the 13th, so I can hardly consider the day unlucky. Italians consider Friday the 17th unlucky (despite many being Catholic, many are superstitious). I could never consider Friday the 17th unlucky. My son was born on a Friday the 17th. Personally, I think you make your own luck, good or bad. I’m wishing you all good luck this month. Tell us how it’s working out for you. Share your stories here. Did anything strange happen? Anything wonderful? Let us know. When i originally left a comment We visited the actual -Notify me as soon as completely new opinions will be added- checkbox and today every time a review is definitely extra I purchase Some e-mail while using the identical review. Is there almost any approach you may clear away me personally by this support? Appreciate it! Staci I love the moon but do believe it effects people’s moods, my mother worked as a nurse and still says there was always more admissions of mental health patients on a full moon. I have a child who not so much now but when he was younger, his behaviour was worse in a full moon and many other mothers have noticed this about their child on the spectrum too. It is connected to the tides and the ebb and flow of life and our kids are sensitive to the slightest changes. I find it all fascinating so thanks for your post enjoyed it very much. Kath, there are those who swear the moon affects us and those who swear it doesn’t. I’ve often wondered what the world was like all those years ago when the moon was much closer to us. If it does affect us, can you imagine how much different it would have been then? Hmm… maybe there’s a story in there somewhere. In any event, I’m glad your son has grown out of his moon phase! I’m not superstitious, but I am interested in learning about folklore. I will walk under a ladder or cross a black cat’s path on purpose. You know how my Friday the 13th went this year (the day my husband injured his foot.) 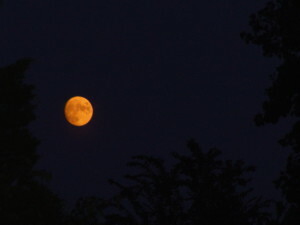 However, I do love to watch the full moon rise and I made it a point to watch the sunrise on summer solstice. From that point on, it will rise further south until winter solstice. I did think about you and your husband as I wrote this post. I’m glad his foot wasn’t broken. Good luck or bad? Or just coincidence? In any event, I hope he’s feeling better. Thanks Staci. That was fun. Well, seeing the first firefly is probably a positive omen of some sort. And the moon was pretty, so who could ask for more than that, right? The moon kind of fascinates me, too. I’m sure there’s a story or two in there somewhere. I even saved the moon list to my potential-story-ideas Pinterest board! Hallo Staci, we were at anchor in Amalfi that night. I didn’t know it was a honeymoon. 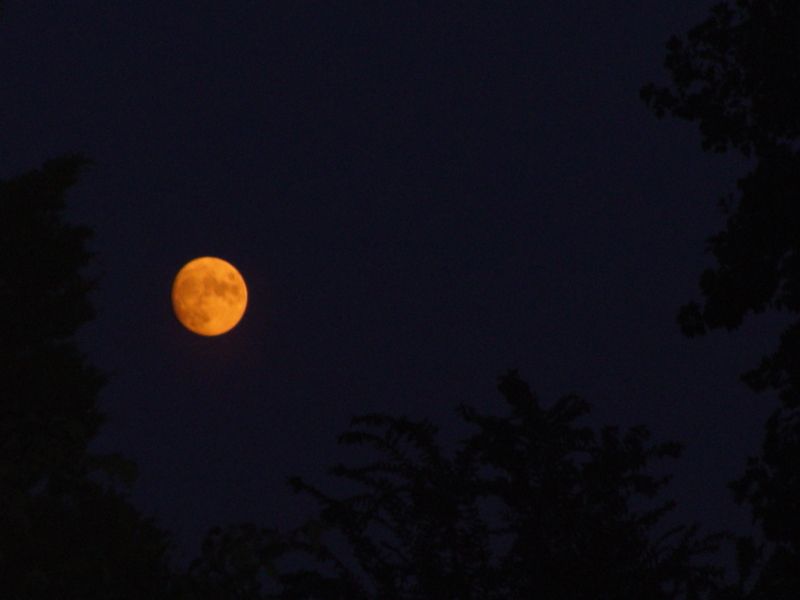 It looked like a marmalade moon to me. And yes it was spectacular. The 4 nights of full moon chased me all about the boat, shining in my eyes throughout the open hatch above my bed, like a spot light. Sailors are incredibly superstitious. We never begin a journey on a Friday. Serious bad luck. Full moons are almost always associated with bad weather or extreme weather changes. Red skies heralds great sailing weather for the next day where as red skies at sunrise – bad weather. You did your homework. Loved the information. Learned something new. Patricia, I had heard that sailors were a superstitious bunch, but I’m not privileged to count myself among you, so I don’t know all the “rules.” I did know the Friday one (from one of your posts!) but I’m afraid that’s all I know. I’m glad you enjoyed your marmalade moon, though. And, as always, I know it must have been gorgeous if it was seen in Italy! Thanks for sharing!